Jason Johnson was not the only one. Whether an e-mail from Church of God Ministries about the latest movement-wide emphasis, a letter from “Anderson,” asking the local church to take up a special offering, or a phone call from the “national offices” asking for a donation, if it originated from central Indiana, it was met with skepticism. After all, the landscape of the Church of God resembled less and less the reformation movement of its earliest days, and it seemed that “Anderson” was largely responsible. This was once the sentiment of Jason Johnson of Prestonsburg, Kentucky. Fast forward a few years. 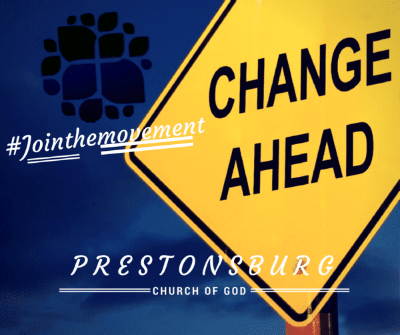 Pastor Jason and Prestonsburg Church of God are some of the loudest champions of the movement today. What happened? 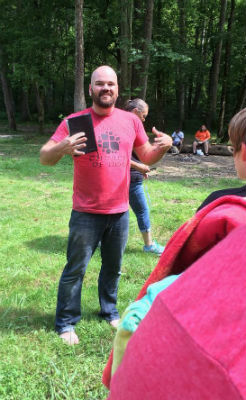 Photo: Jason Johnson preaching outdoors. 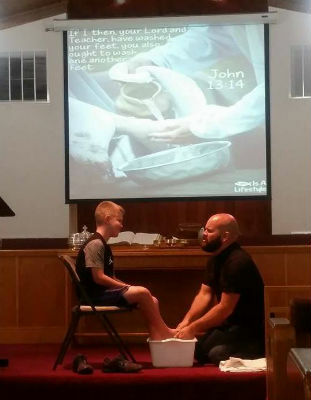 Photo: Pastor Jason practicing footwashing. Jason Johnson served as interim pastor last year. On Freedom Sunday (March 5), he was ratified as senior pastor. For the past two years, the church’s focus has been on living for Christ—an idea which sprang forth from “Jesus is the subject.” Today the church has been stressing the concept of “Join the Movement,” which came out of a love for the Church of God and the call to reach beyond themselves. Over the past year, Prestonsburg’s attendance has tripled and the trend looks very encouraging. The altar’s been full again, and the baptistery is wet again. Prestonsburg sponsored their first-ever child through Children of Promise, and eagerly participated with Trafficklight’s efforts on Freedom Sunday. The church, which is not a congregation with much cash to spare, has also joined the movement in its financial support. Though they cannot give much by the world’s standards, they now give as much as they can each month to the collective ministries of the Church of God. And Jason is not the only one. 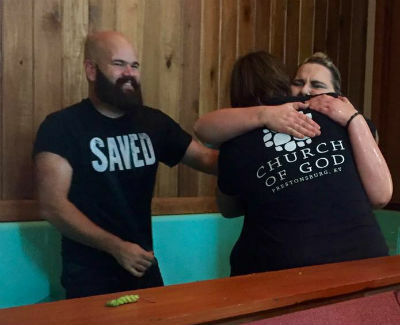 In Prestonsburg, Kentucky, across the United States, and around the world, God is on the move in the Church of God. Join the movement. Donate today at http://www.jesusisthesubject.org/join-movement/. This entry was posted in All Church of God, Southeast and tagged change, church growth, Church of God reformation movement, denominationalism, discipleship, doctrine, Jason Johnson, Jesus Is the Subject, join the movement, Kentucky, KY, Pastors' Fellowship, Prestonsburg, Prestonsburg Church of God, reclamation, skeptic, theme, turnaround, unity, vision. Bookmark the permalink.